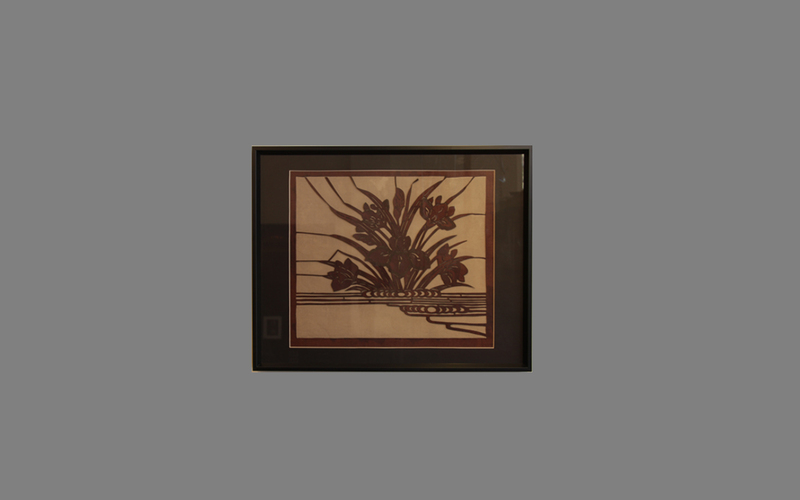 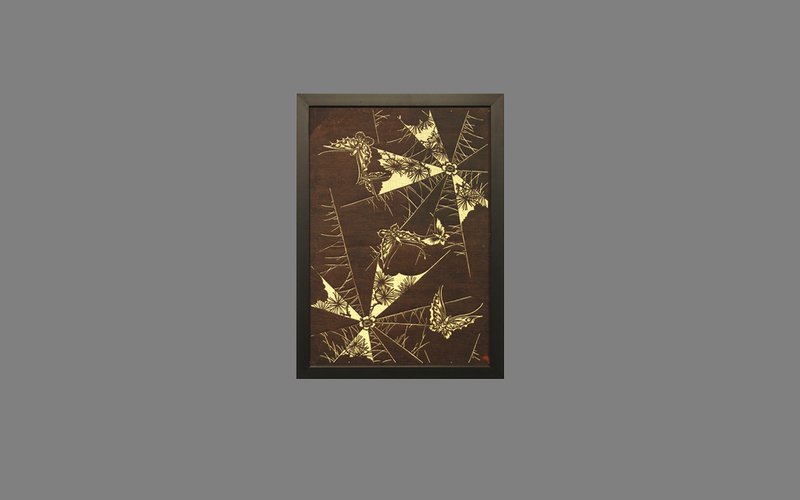 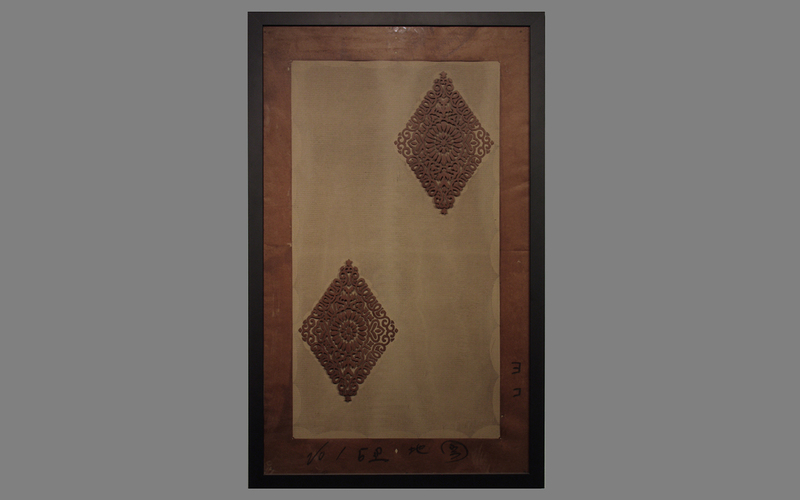 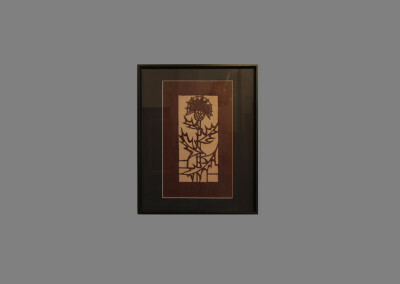 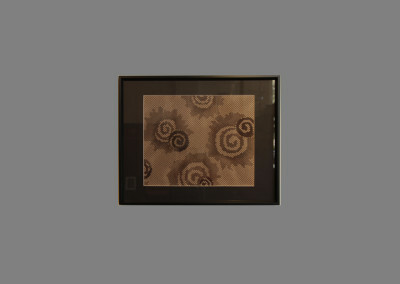 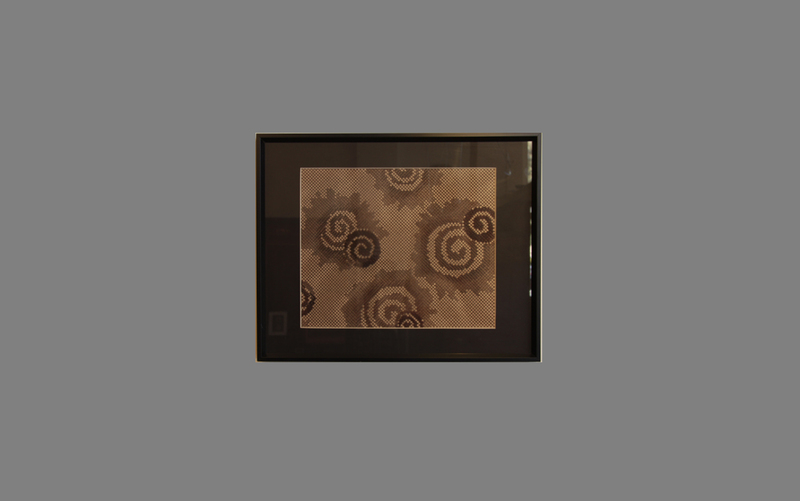 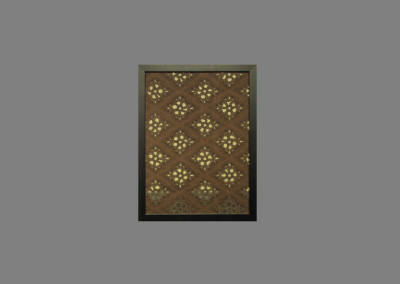 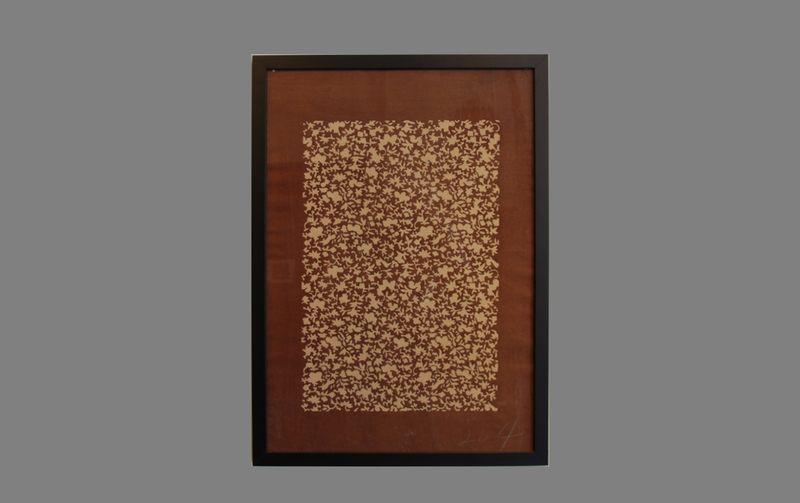 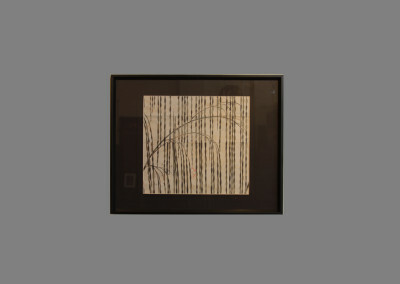 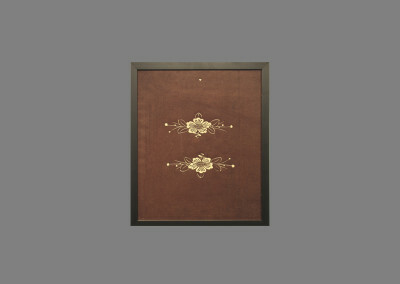 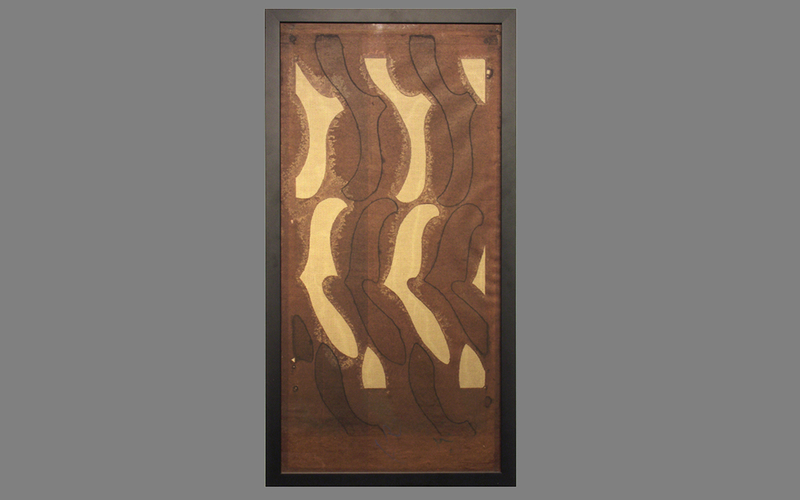 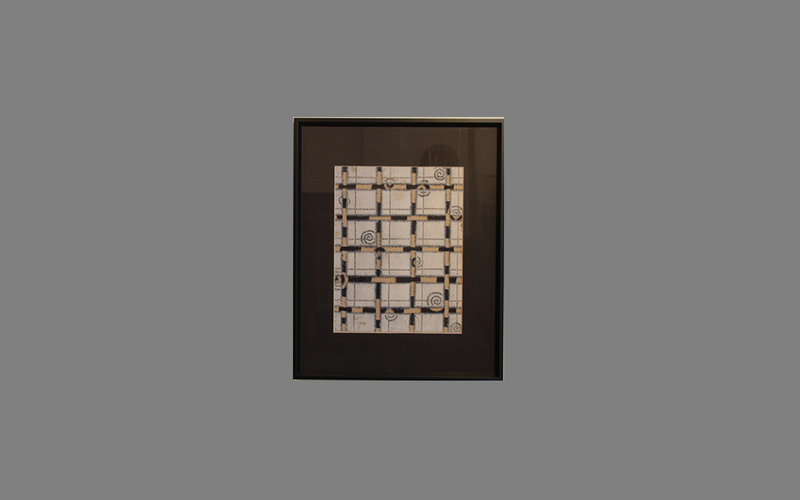 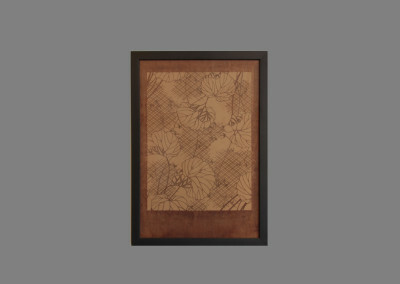 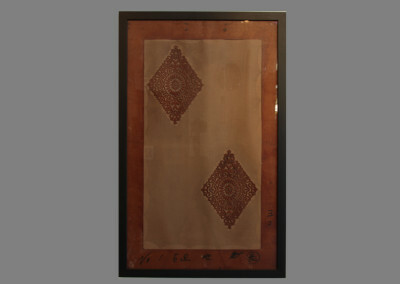 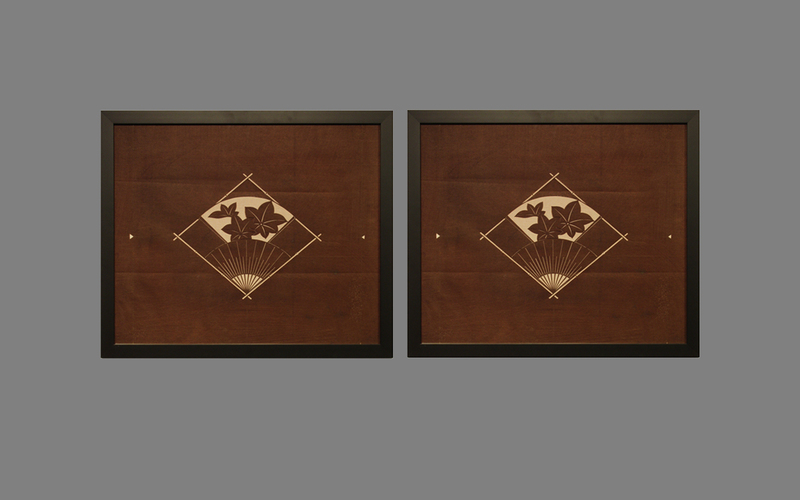 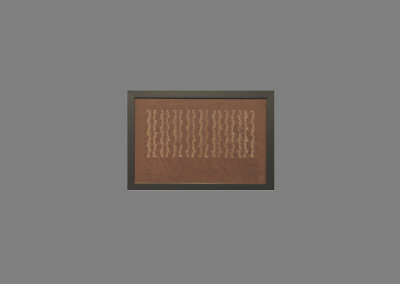 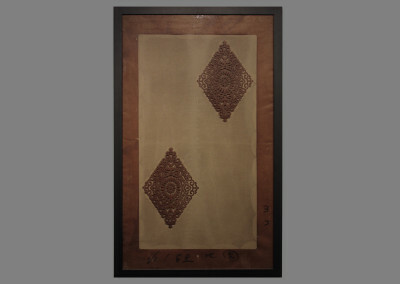 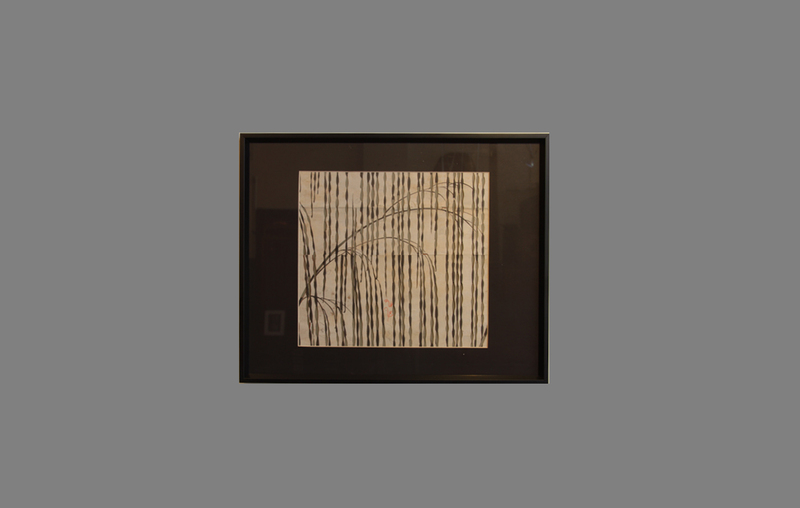 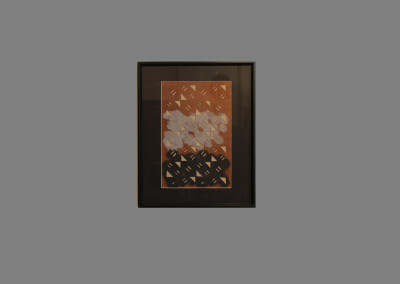 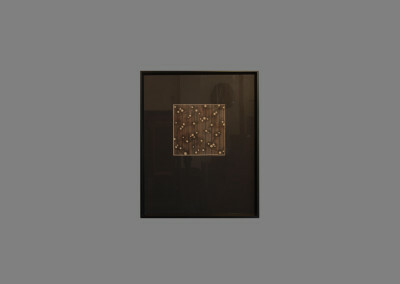 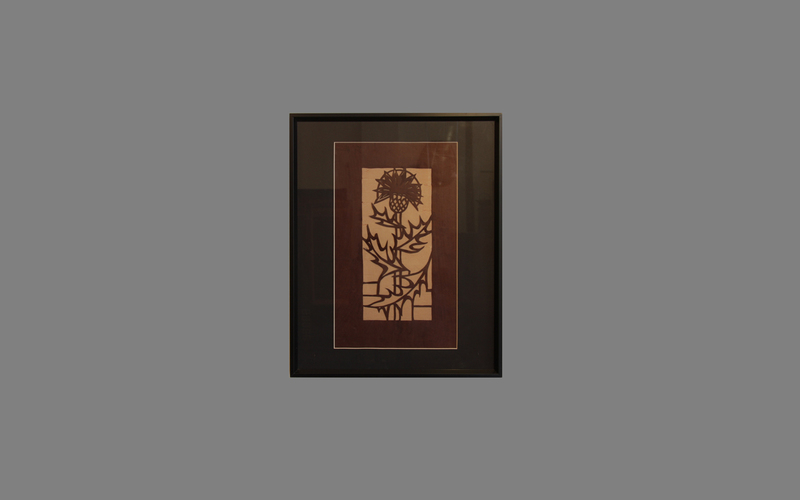 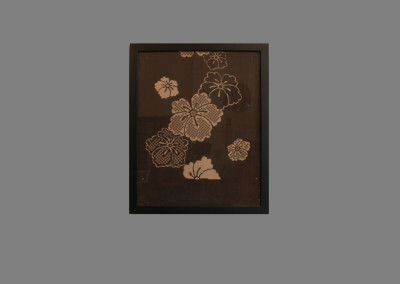 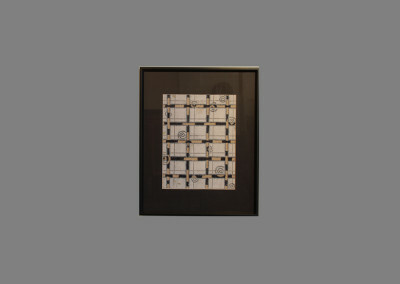 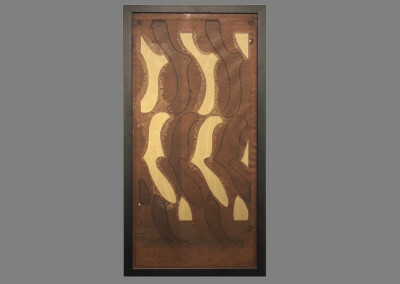 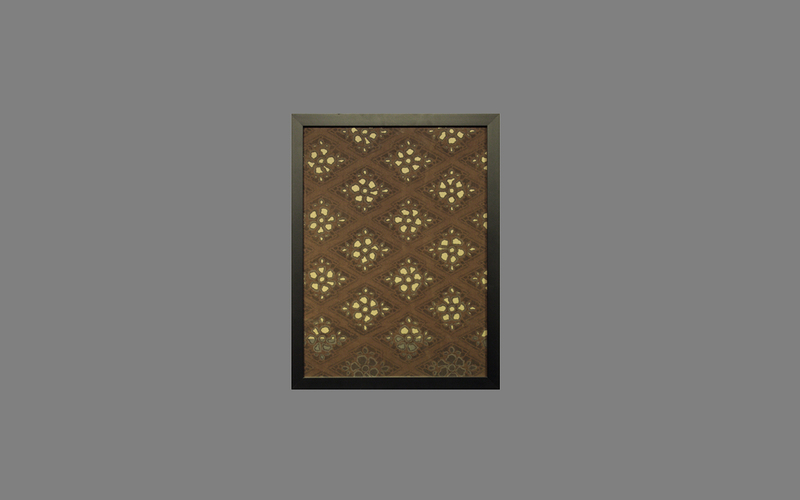 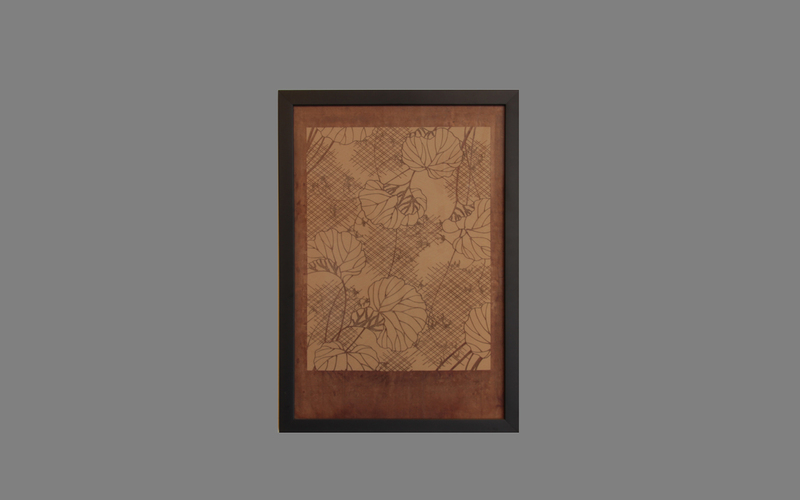 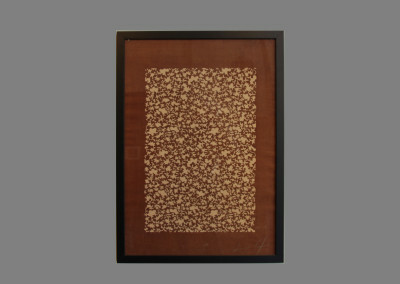 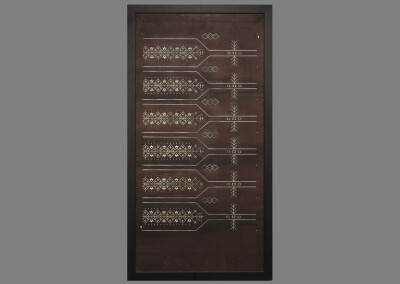 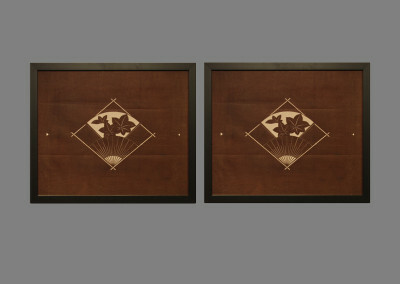 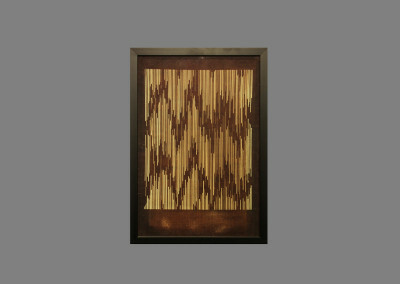 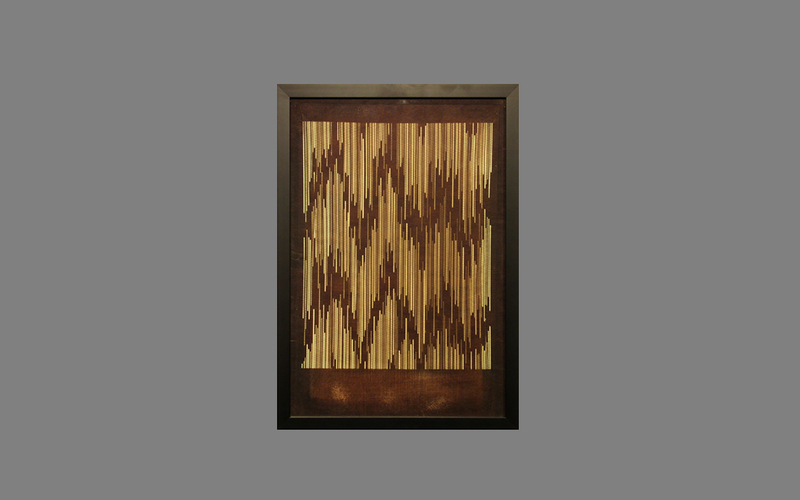 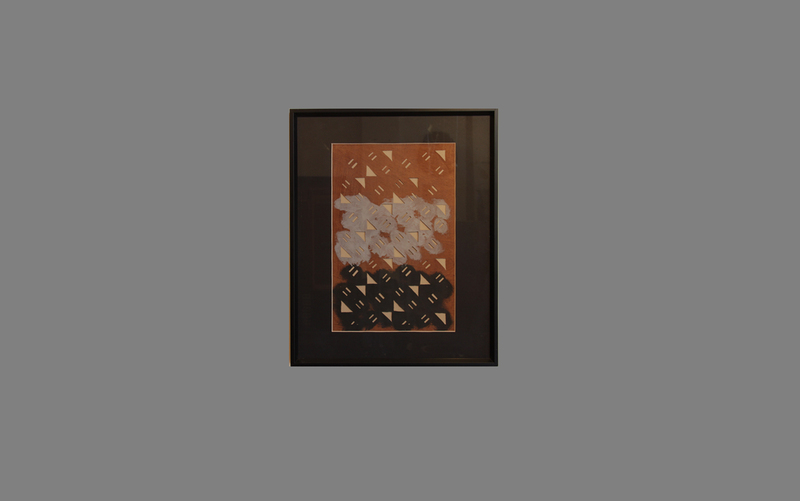 Our framed katagami range in price from $125 to $800. 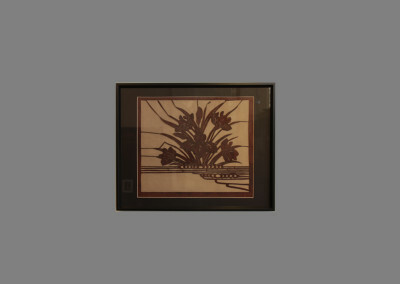 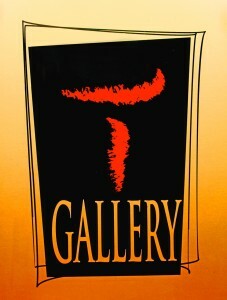 More are available at our Gallery. 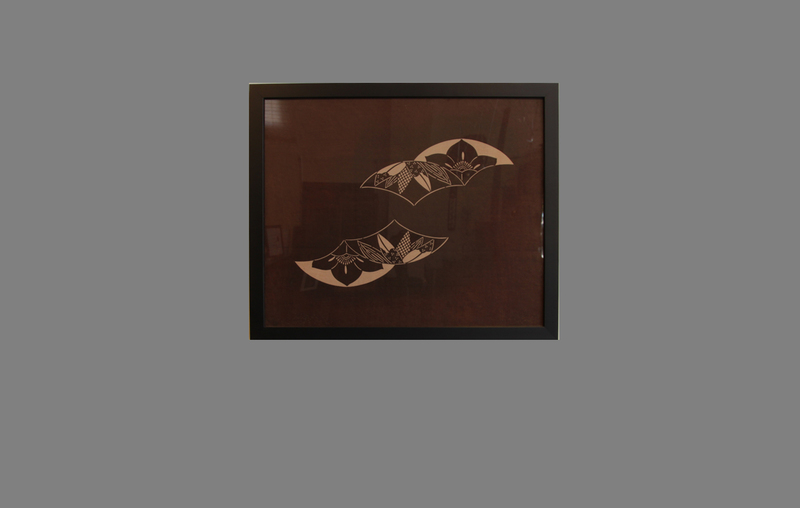 The stencil’s highly detailed cutouts result in large areas of negative space. 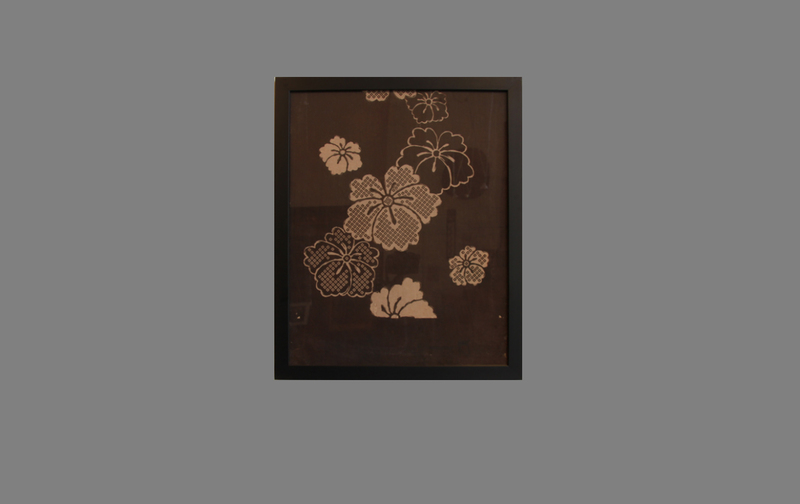 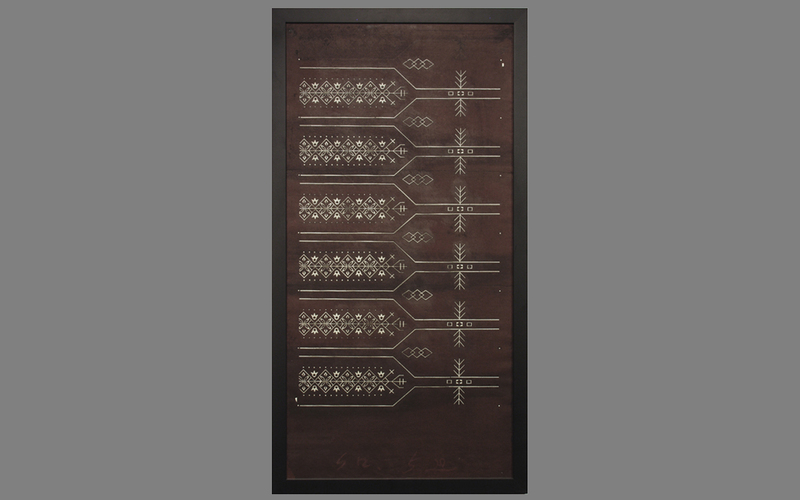 The precise cutouts are supported by an equally fine, though less visible, silk thread grid that stabilizes each of the tiny paper components. 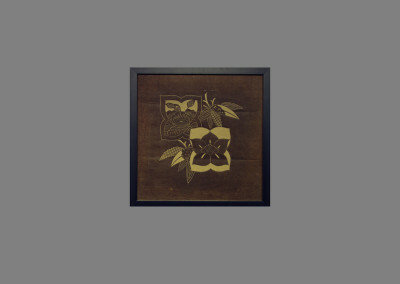 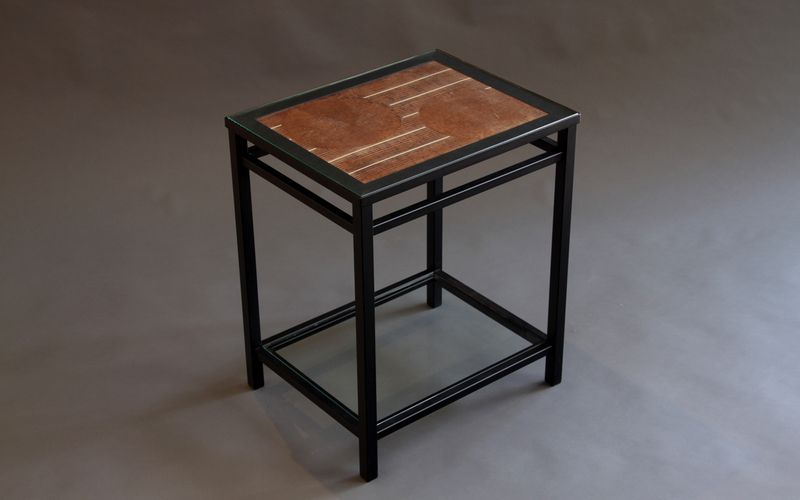 We also use Katagami for tables. Click here for some ideas.